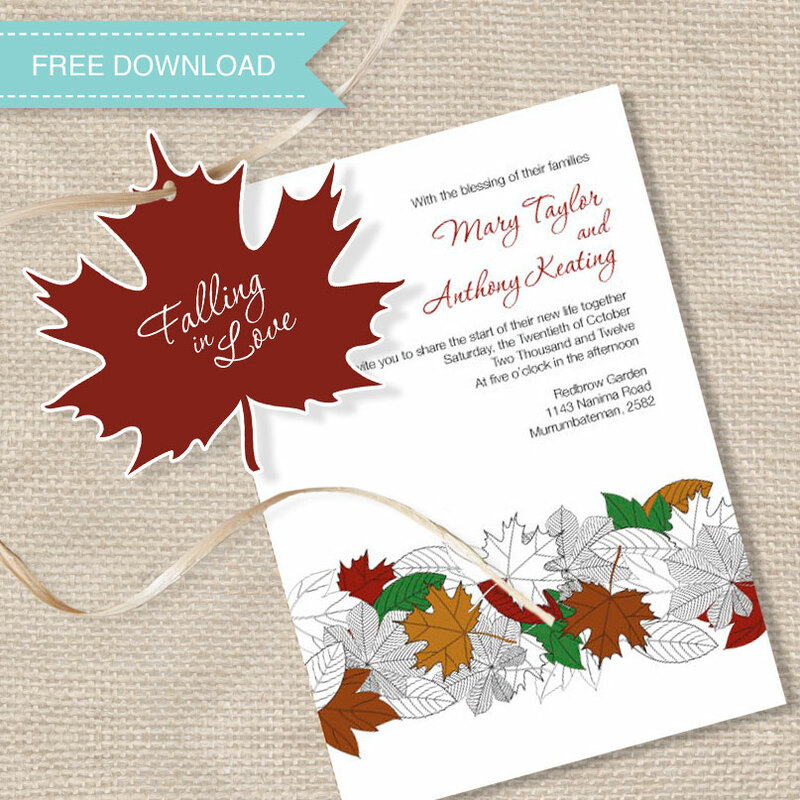 Get ready to fall in love with another fun free wedding download. We've added some beautiful autumn leaves great for decorations or adding to invitations as we've done here. There are six leaves in three autumn shades with "falling in love" on each. To download just visit 'i do' it yourself's freebie section.